Jim has a special emphasis in his litigation practice on complex securities, derivative and professional negligence cases. He has extensive trial experience in state and federal courts, as well as in administrative proceedings. Jim has tried to award numerous FINRA and NASD arbitrations. He has defended a number of brokerage houses, brokers and financial institutions in FINRA arbitrations and investigations and SEC investigations. In addition, Jim has an extensive background in representing both individual board members and corporations in derivative and securities litigation. Jim began his legal career as a law clerk for Justice Glenn K. Seidenfeld of the Illinois Appellate Court, Second District. For the next 10 years, he was the Court Administrator for the Circuit Court of Cook County, the largest single trial court in the United States, and served as general counsel to the Chief Judge of the Court. Prior to joining the firm, Jim worked closely with his partners, accomplished trial attorneys in a Chicago litigation boutique. His experience and credentials grew to include defending against class action litigation (as he did in the Salmonella Class in Cook County), prosecuting and defending corporate and partnership dissolutions, malpractice cases and other business and insurance litigation matters. Jim has held leadership positions in a number of local government organizations, including the Village of Kenilworth (Trustee, 2003 to 2005) and Illinois School District No. 38 (President and Member, Board of Education, 1988 to 1995). Jim has been awarded an AV-preeminent peer review rating from Martindale-Hubbell, its highest rating for ethical standards and legal ability. 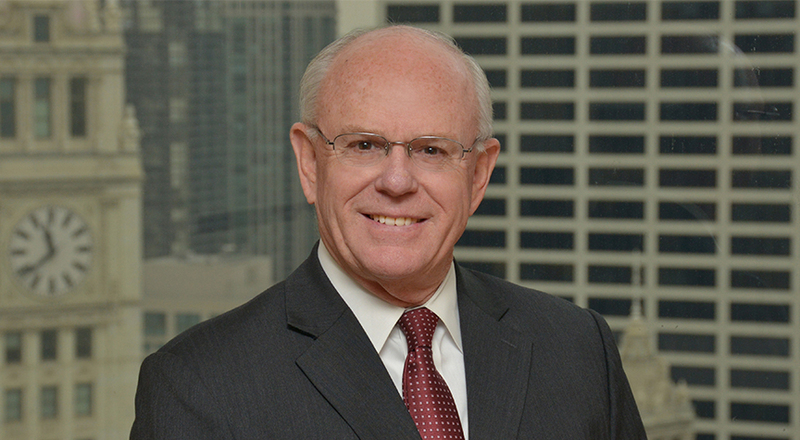 He is honored by the Leading Lawyers Network and is named by Illinois Super Lawyers. 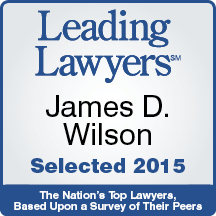 Jim is also listed in Best Lawyers in America for Commercial Litigation. Jim received his B.S. from Oregon State University. He earned his J.D., with high honors, from the Illinois Institute of Technology, Chicago-Kent College of Law where he was a member of the Chicago-Kent Law Review. SEC v. Buntrock, et al. Jim was also appointed Special Advisor to the Court in SEC v. Koenig.